Alzheimer's Society says, "Let dementia sufferers find new love in care homes"
Alzheimer's Society says that new lovers should not be separated in care homes as their bonds provide comfort and support when they are dealing with a scary illness. I wanted to bring this interesting article written by Georgia Graham in TheTelegraph to your attention. , Director of Operations at the Alzheimer’s society, said that couples were separated “quite frequently” by staff who believed that they were “obliged” to put an end to the relationships. The charity is calling for widespread training and support for staff to make sure that carers are “respecting the dignity of the individuals involved and their rights to a human relationship." Kathryn Smith added, “We think it is very important that staff are offered the appropriate training and support to work with sexuality and relationships in a care home. There isn’t a one size fits all answer to this, everybody is different. To read and share this article follow the link in this headline. After reading the article, I would be interested in hearing your reaction. Does Alzheimer's Caregiver Love Slow Alzheimer's Disease? 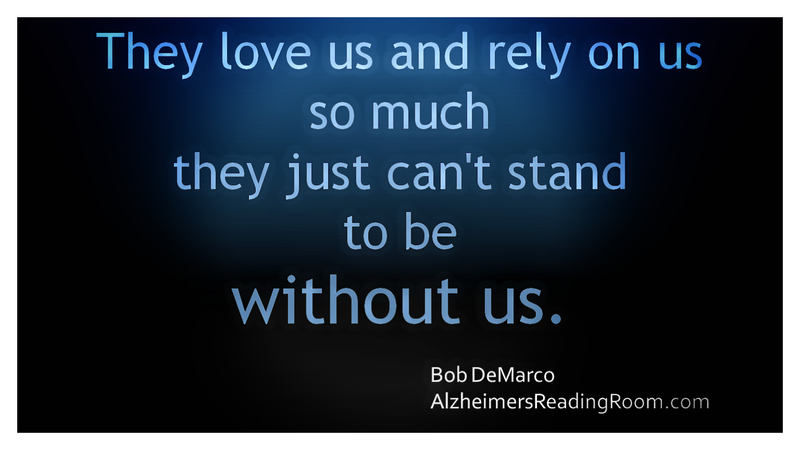 It is not unusual for an Alzheimer's caregiver to wonder if the person living with Alzheimer's or a related dementia still loves them. Do they?